Call (480) 812-1800 for your appointment today! Many injuries have combinations of muscle and joint problems. Addressing one component can get you out of pain, but the injury is more likely to return. Our treatment facility address the pain, muscle spasms, and joint dysfunction to get you better quicker than traditional chiropractic clinics. Some Chiropractors focus on adjusting joint dysfunction or "stuck joints" only. It helps a lot of people's back and neck pain, but not everyone's. Likewise, some physical therapists focus on stretching tight muscles and strengthening weak muscles only. Relying on only one therapy is slow and inefficient for improving your stiffness, soreness, dull, and sharp pain. Nor is a single treatment option the most efficient rehabilitation therapy for restoring your long term health. More importantly, not everyone needs a long term strategy on short term pain and injuries. Chiropractic health care is excellent for providing pain relief and wellness care. Our chiropractic office specialties provide quick pain relief and results for our clients. We let you decide the time of care you prefer. Chiropractic Adjustment Techniques are more than manual manipulation (or the cracking and popping most are familiar with. Gentle chiropractic adjustment techniques also include Activator Technique, Thompson Drop Technique, Flexion Distraction, and Spinal Decompression Therapy. (Read more about gentle chiropractic techniques. Chiropractic medicine has changed over the years, find out about the newest and most advanced chiropractic treatments. I have always believed that if you only have hammer, you see everything as a nail. That's why we have multiple tools and techniques, so that we have many treatment options and do not view everything as needing more "hammer strikes." Graston Technique is ideal for all of those issues you thought you were going to have to live with forever - it's not just a consequence of getting older! Physical Therapy and Chiropractic Treatments are enhanced with Graston Technique and Massage Therapy. Graston helps break up scar tissue and chronic inflammation. Physical Therapist and Chiropractors have had great success using Graston on migraine headaches, running injuries, knee pain, rotator cuff, shoulder sprains, tendonitis, muscle spasms, scar tissue, and chronic low back pain. Chiropractic physicians can do more than crack or pop joints. For long term results to help relieve your acute and chronic pain. Learn More about Graston Technique Treatments. We are proud to be offering cold laser treatments for joint stiffness, inflammation, arthritis, and neuropathy symptoms. More information on the new Class IV K Laser! 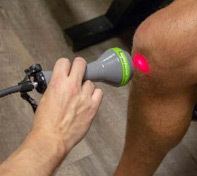 Cold laser therapy is an advanced technique for decreasing soreness, increasing blood flow, and providing fast pain relief; especially for arthritis pain, carpal tunnel syndrome, nerve entrapments, neuropathy, and other pain management conditions. We can provide better care at a lower cost by being efficient and effective with your time and therapist. Everybody wants more bang for their buck, and so do we. Alpha chiropractic and physical therapy hates the wasteful, inefficient services, chiropractic clinics that provides the same treatment to every patient each visit. Thorough exams, skilled providers, and effective rehab treatment combinations are why we outperform other chiropractic, physical therapy, and pain management clinics. During your treatment you will see the best provider for your injury, and we will shift you to the provider that can help you the most to get you pain free. When you are progressing faster than expected we can immediately shift you to the strengthening phase. Likewise, if you are not improving fast enough, then we have four different experienced providers who can talk about your symptoms and shift treatment strategies. Our advanced chiropractic techniques improve your overall results and provide fast relief and long term results for improved quality of life. Chiropractic & Physical Therapy has been providing health care to patients of all ages from Chandler, Gilbert, Tempe, Maricopa, Mesa, Ahwatukee, & Phoenix residents since 2005. 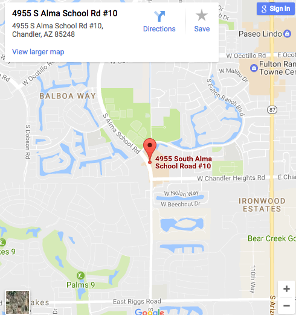 Our office is minutes from Intel, Amkor, Chandler Mall, and 101 / 202 interstates for easy access. Muscle, tendon, ligament, and chronic injuries benefit from Graston Technique, vibration, proprioception, exercises, stretching, massage, ice and rehabilitation activities. 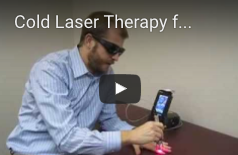 Cold Laser Therapy Speeds Tendon, Muscle, Ligament and Muscle Healing & Repair. Low Level Laser therapy turns on the cellular repair systems in addition to decreasing inflammation and blocking pain receptors. Learn how it can enhance your therapy and speeds tissue healing. Testimonials – With links to Injuries and Treatment- So you know how we are going to help with your pain relief or wellness care today. When I first came to see you, I had severe stabbing joint pain in my neck, shoulder and hand. Since the chiropractic treatments, rehabilitation, and cold laser, I am a new person. I can function normally again without Carpal Tunnel Pain. Thank you very much. I've been pain free and feeling great because of your professional chiropractic care. Thank you for making me a believer. I really appreciate everything you've done for my spine and herniated discs. Combining spinal decompression and rehabilitation exercises helped provide long term relief that I didn’t get at other decompression centers. I have been to other chiropractors in Phoenix and Gilbert, and you are the best. My lumbar disc herniations and neck pain are gone because of the combination of chiropractic adjustments, spinal decompression, stretching, and exercises! Thank You! My body is old and tired, but you keep me feeling great! At my age the arthritis in my spine makes everything hurt. But the Activator Technique minimizes my low back pain and stiffness. The Cold Laser really helps my foot neuropathy. Thank you for everything you have done for me. Without you helping me with my migraine headaches, I wouldn't be the same without your rehabilitation clinic. Thank you very much!